At Basement Systems Vancouver, we repair residential and commercial foundation water penetration problems. Our waterproofing professionals are factory trained, and certified. They will analyze your foundation water issues and provide long term solutions that carry a full warranty. When you choose Basement Systems Vancouver, you don't just choose Basement Systems Vancouver - you choose and receive the knowledge, expertise and experience to ensure your waterproofing investment is a great choice. If you need your basement waterproofed, foundation or crawl space repaired, contact us today for a FREE service estimate. Eliminate mold growth and rot with a dehumidifier. At Basement Systems Vancouver, we understand how important your home is to you, and treat your home like it was our own. Basements are an integral part of your building envelope (your whole house) and cannot be ignored, as they once were. Nobody wants a wet basement in the biggest investment of their life, and we are able to prevent that! As an authorized Basement Systems dealer, our team has been trained in all aspects of basement waterproofing such as what the most common problems are, how to fix them, and much more. We have access to the highest quality products and latest technology to help permanently repair your home. If your home is facing basement water issues, contact us today for a FREE quote. 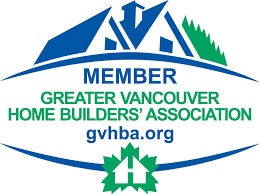 We serve homeowners in Surrey, Vancouver, Langley, and surrounding areas. "Job well done. Thanks guys." "Hope the product works as it was stated too do, the proof..."
Since 1996, Basement Systems Vancouver has provided homeowners of Greater Vancouver reliable basement waterproofing, crawl space, and foundation crack repair solutions. Our services offer permanent fixes for your home's issues, and our customers have been pleased with our work. As the area's preferred basement waterproofing contractor, we have the skills and expertise to repair even the most complex foundation and basement water issues. Customer service is our number one priority, and we work hard to make sure you have a pleasant experience working with us. Along with quality customer service, we take pride in providing superior work. Our proven basement waterproofing solutions are guaranteed to fix your home's water issues, and you can trust that we will perform the job right the first time.